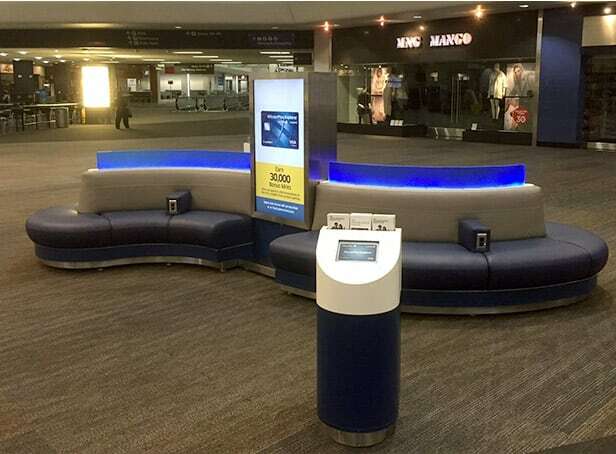 Evolve the airport display experience by constructing and managing a revolutionary unmanned display at San Francisco’s busiest domestic concourse. 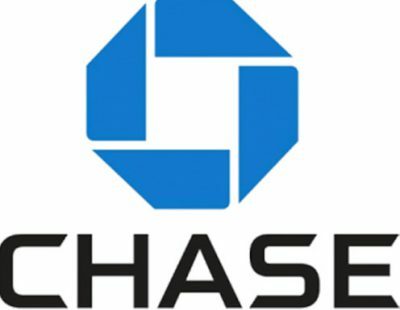 Innovative Group worked closely with Clear Channel media and Chase to bring a unique rendering to life. 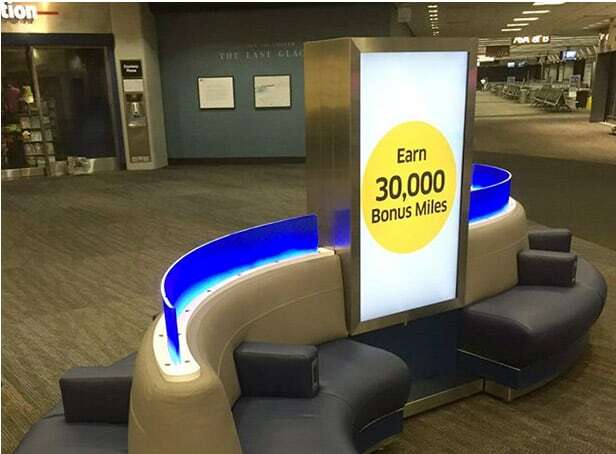 The lounge had its challenges when it came to design, as well as meeting leading industry standards required by San Francisco International Airport. Several enhancements, including 24 armrest power ports, seating for up to 12, personal iPad stands with built in brochure holders, heavy traffic sustaining construction, and LED uplighting beneath 3Form glass added to the overall experience. In the end, IG was able to meet all requirements and create an experience that’s taken Chase to the next level in airport activation. The lounge far exceeded expectations, and is a welcome spot for many travelers. In fact, its effectiveness has ensured its continued service in the coming year, while the installation itself has become a model for several other unmanned Chase experiences.